My Pain Woke Me Up - Legal Injustice is a survivor's tale of legal injustice in today's social society. Legal Injustice is the second book in the series, also a fictionalized account of a true story, documenting many of the author's life experiences, lessons and best practices learned along the way, dealing with attorneys in the local court system, ultimately leading her to question: Does justice truly prevail? Legal Injustice is a fictionalized account of a true story. Names were changed to protect the privacy of friends and family. The comical illustrations were created to capture the sequence of events in the story. 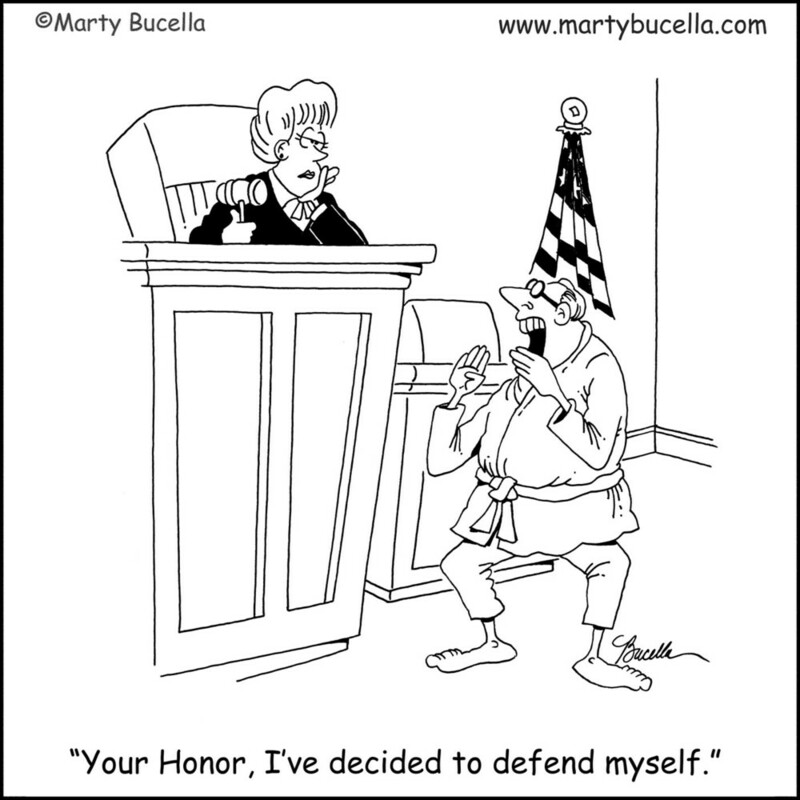 Special thanks to Marty Bucella, Cartoonist/Humorous Illustrator, who allowed me to add a little more humor to my story. 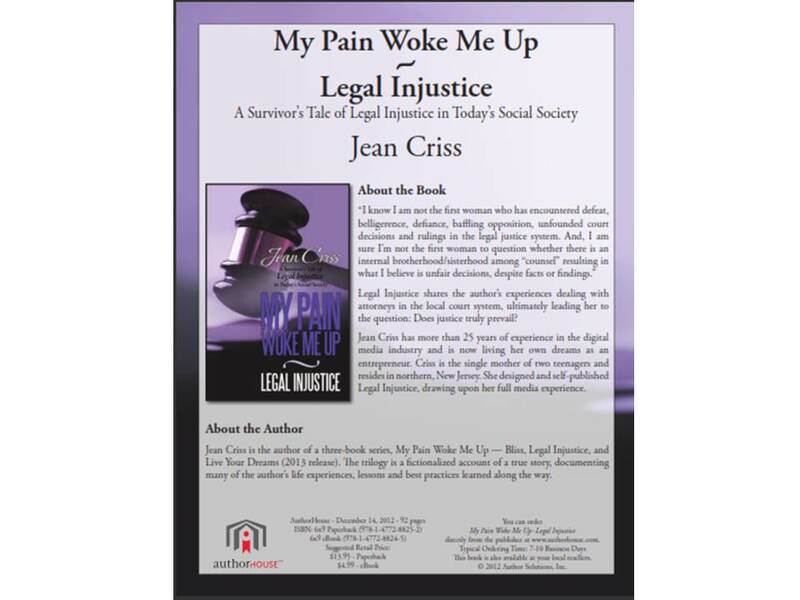 Legal Injustice was self-published by Jean Criss in December, 2012, authorHOUSE Publishing.